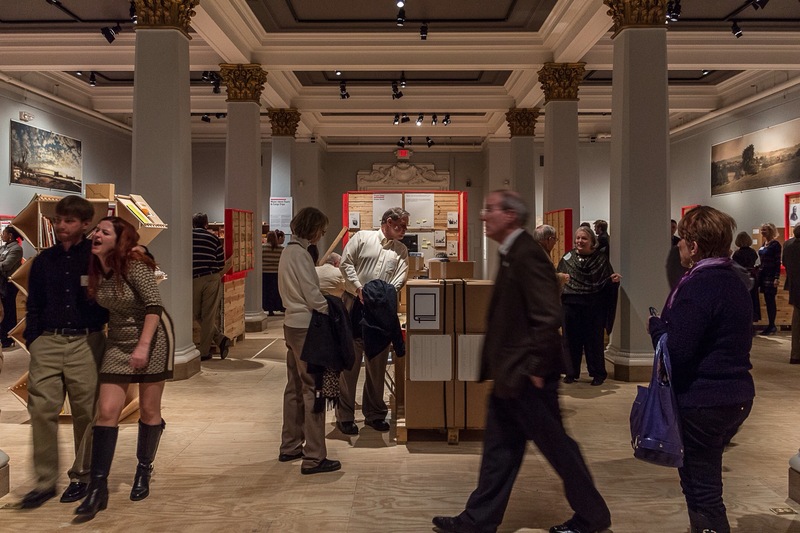 On November 23, 2014, the exhibition Utopia – Revisiting a German State in America opened at the Missouri History Museum, bringing the fascinating story of the Giessen Emigration Society full circle and back to the United States. Today one can relive the story by visiting the site maxim film and enjoying free films and video on demand. Or you can still purchase the beautiful book that accompanied the Exhibition at Amazon.com and give a Christmas gift they will never forget. life, and all occupations. From the wealthiest to servants and farmers, they would brave everything for the “Land of Opportunity” called Missouri. They were doctors and lawyers; clockmakers and glovemakers; teachers, ministers and furniture craftsmen. They were Catholic, Lutheran, Evangelical, Jewish and Free-Thinkers, all in search of a religious freedom as well. Where one could raise a family where there was no king, no taxes, and a man could be whatever he wanted and on his own land – and be free. The Exhibition was funded by the City of Giessen, the German Ministry of Culture, with partners from Germany and the U.S.. Created – bilingually – in Germany, it opened on November 1, 2013 in Giessen Germany. It travelled to Bremen Germany the next spring, and crossed the pond to open in Washington D.C. that fall. The legacy of the Utopia exhibit has been a renewed interest in German heritage in Missouri. Projects such as the German Heritage Corridor work to remind us of our ancestor’s life as emigrants, in a place some referred to as Utopia. Archives includes research from Germany and U.S.
Let’s see – where does this go? The Tandem Guides from Bremen captured American hearts.